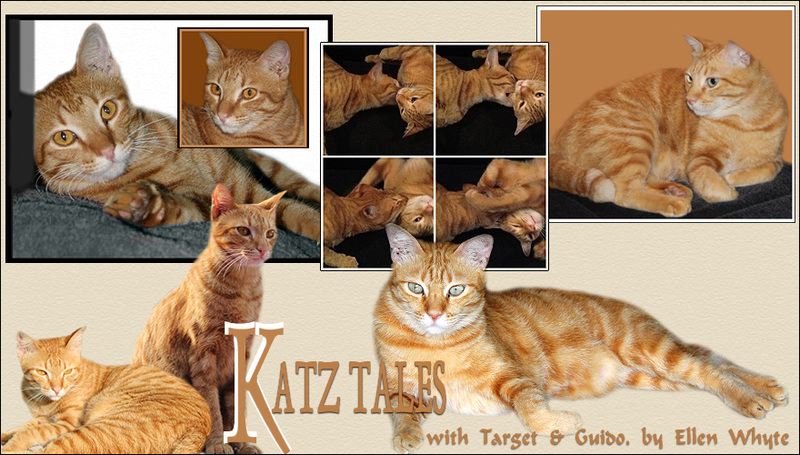 Katz And Other Tales: It's World Cat Day! 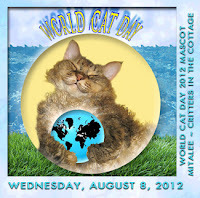 It's World Cat Day and we're planning a fun day! We're also excited because we sold some Katz Tales books on Smashwords and we made our first sale on Barnes and Noble!!! 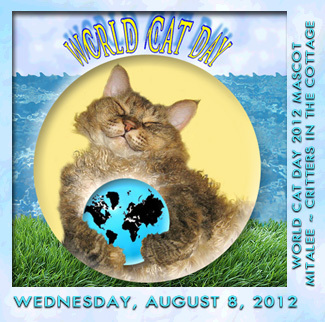 Our hostess this year for World Cat Day 2012 is Mitalee from Critters in the Cottage. We've never met but we're going over to do some critter hunting right away. Have a happy World Cat Day! Happy World Cat Day!! Have fun with paper, box, and string! We will do the same! Yay! How very exciting that is for you! Whenever you are ready for an interview let us know! Big congrats on the book sales, especially on Barnes and Noble! Concatulations on the sales! That's very exciting. Happy World Cat Day everyone!!! Hooray for the terrific sale on B & N! Paws up guys! On having great plans for World Cat Day and especially on the book sales!! Happy World Cat Day. It looks like a good one with favorite things of strings, papers and boxes. Happy World Cat Day! looks like a fun day already :) Congrats on the book sales! Happy World Cat Day, Boyz! We bought both books and Mommy is going to download them right quick. We can't wait! Wowwie! Zowwie! Me is so impressed on the book sales! And happy World Cat Day! Happy World Cat day! congrats on your sales. Yay for your amazing sales!! Brilliant!! Congrats on the sales and Happy World Cat day! Oh World Cat Day? I'll have to make sure that my friend, "the cat" knows. Maybe it'll be treat time too. Happy World Cat Day to you too!!! Concats on the book sales! how cool to sell on Barnes & Noble!! Happy World Cat Day and we think it is fantastic you sold some of your books! A friend called me this morning to tell me that it is cat day today !! As in our house it's cat day everyday I don't feel the difference, lol ! Concats to your Mom on the sale of her books. And ConCATS to you on those book sales!!! We're sending you many purrs - and Dobby is very happy to see Guido! That sure looks like you enjoyed World Cat day. We are so excited that your book is selling. That is good news. Take care. Well shame on our mama! She did not know about World Cat Day. Congratulations on the sale of your books. Concats on your books. We didn't have a computer when World Cat Day rolled around! Next year!! Wow! There is a cat day too?! I didn't know that!